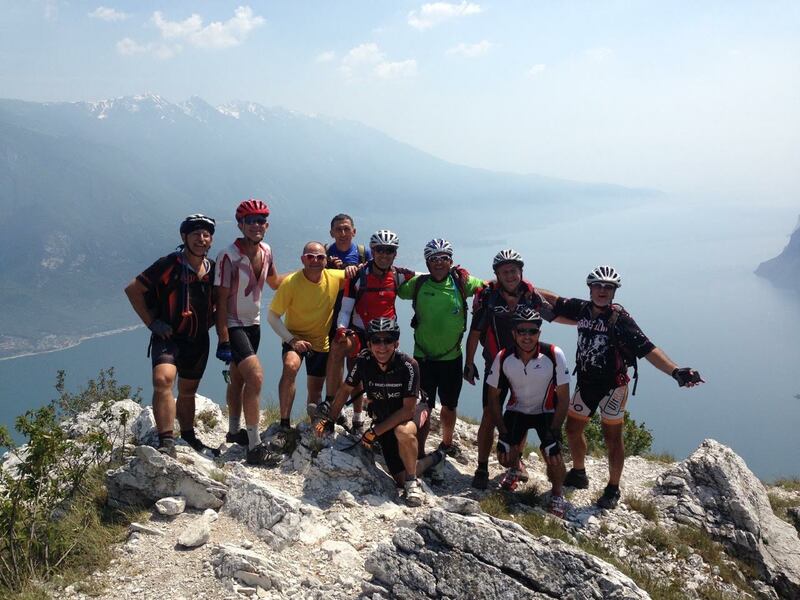 Actually we consider Orlando's Ride one of the best all mountain tours at lake Garda. Its main climb is quite long with a very irregular profile; sometimes is also steep but always very nice. Anyway guys, good legs are required here... The long descent is spectacular with several singletracks e short sections where we ride our bike over big roots, big stones, narrow switchbacks, all those situations where a good off-road technique is required. The scenery and panorama of the whole Lago di Garda is just amazing: no words are enough, you have to try! Bring some money to buy some drink & food at Passo Nota and don’t forget your photocamera!